The Rawlings family, although fairly new to Richmond, made an impact on the Town in the 20th Century. 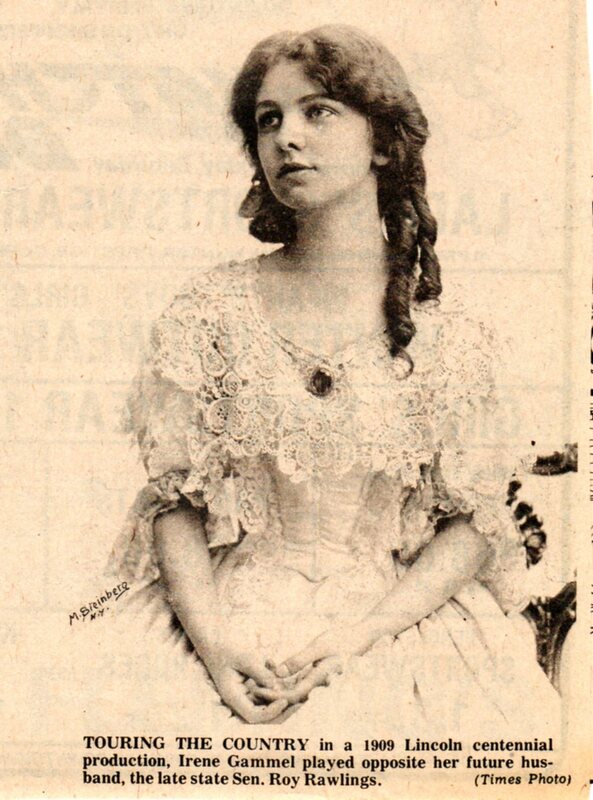 Lucy Irene Gammell, a Providence native, and actress, married Roy Rawlings, “a son of Illinois farmers”, and settled on land, which they farmed. This land is across the road from the Richmond Town Hall and is presently the location of the Meadowbrook Golf Course on Route 138. Roy Rawlings successfully ran for the State Senate, in the 1920’s, where he represented Richmond for many years. Their daughter, Lucy Rawlings Tootell, was a founding member of the Richmond Historical Society and also represented the Town as a State Senator.